Late winter and spring, not summer, are the perfect time to visit California deserts – Death Valley, Mojave National Preserve, Joshua Tree, Palm Springs and Anza Borrego. Read about favorite places to go with kids and tips for enjoying the desert. On Presidents Day weekend we took a trip to Mojave National Preserve. 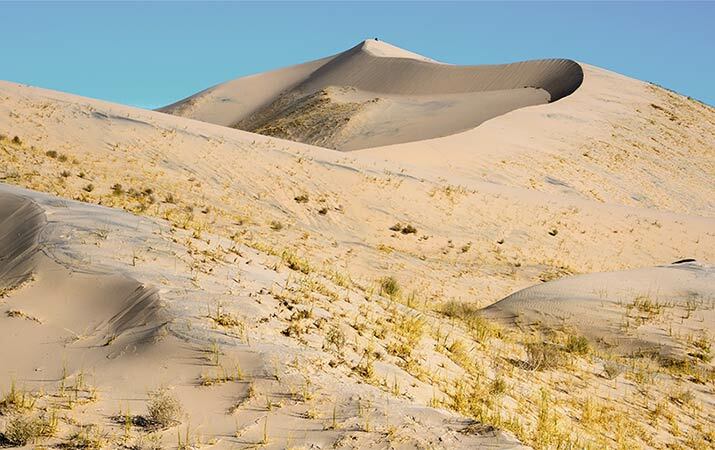 Not as well known as other California desert national parks, Mojave National Preserve has the best sand dunes for kids (Kelso Dunes are bigger than the dunes in Death Valley).